Blazing Beats is excited to introduce the first generation of sound responsive fire products using its sound driven fire burner. This patent pending burner is what creates a visual experience like never before combining your favorite music with fire. Blazing Beats is made to transform your parties, bbq’s, and relaxing evenings, and it is the first of its kind to be brought to your backyard. This technology literally lights up your music bringing your favorite songs to life. So sit back, relax, and watch your music come alive. Contact us today before you plan your next outdoor event, because after our fire pit, your events will never be the same. CLICK HERE to see demo video! The patent pending, sound driven fire burner creates a precise fire-to-sound reaction that dynamically represents the sound of the music with flames. Easily sync with your smart phone, tablet, laptop or any Bluetooth® device. Additionally, an auxiliary input provides you even more connection options. The fire pit runs off of propane tanks and lasts roughly 8 continuous hours with full tanks. When you run out, refueling is as easy as your typical propane grill. Blazing Beats fire features range from $2,195 to $4,995 depending upon the unit, options you choose, and promotions available. 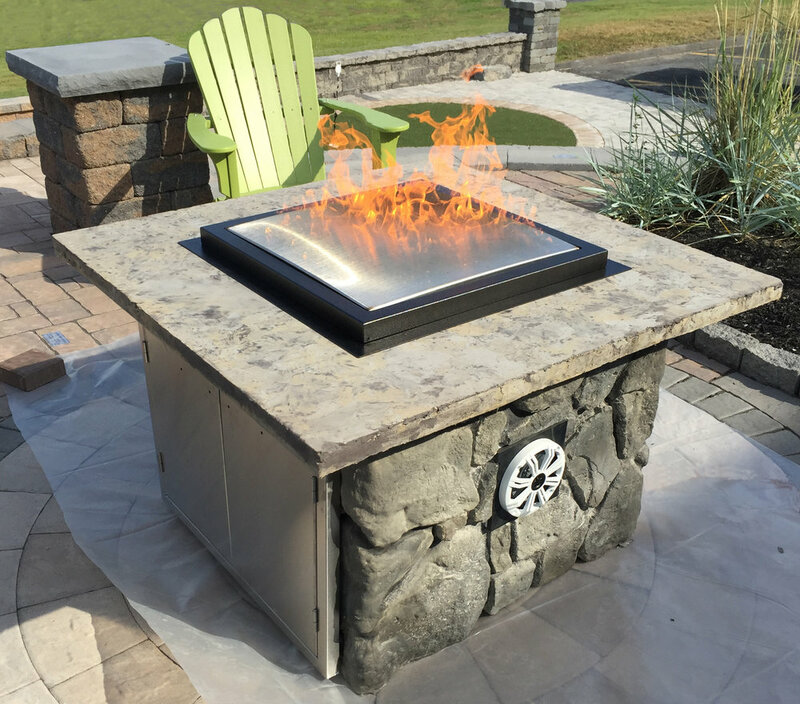 Blazing Beats Dancing Fire Pits come in two models - An All-In-One (plug and play) model, and a built-in model that can be put into any custom fire pit or fire table surround. 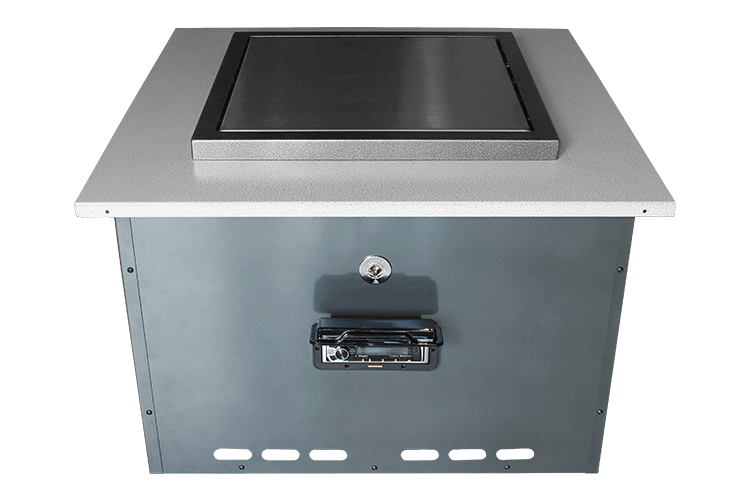 Each model has the option of either a 24" x 24" or 19" x 19" square burner. The 19" burner has the fuel options of propane or natural gas, while the 24" burner is only available with propane. The All-In-One model comes pre-built and ready to use. The All-In-One comes with an audio setup that includes a premium marine grade audio receiver, 300-watt speaker, the Blazing Beats sound visualizing burner, and powder coated steel surround. You will simply need to provide a fuel and power source. The All-In-One unit has a height of 24" and a 38" x 38" square top.